I have never been to Paris, even though my forefathers hail from France. Yes, as my real so-called Christian name (André le Roux du Toit, or André Letoit for short) suggests, I am of exactly 50% French ancestry. This, in spite of the fact that the only few snippets of French I know consist of phrases like je suis, je ‘taime etc, and I’m not even sure if I spelt those phrases correctly. In fact, apart from one brief and very fast trip by Eurostar across the French countryside, the only time I physically set foot in France was when, decades ago, before the discovery of the euro, I once crept past a Belgian border post, took an illegal crap in the corn-fields of France, and crept back into Belgium. So, technically, I have spent at least five minutes of my adult life with my feet — and my arse — on French soil. Perhaps that was my way of trying to reclaim a lost cultural heritage. Perhaps, like a dog, I was trying to mark, as my personal territory, a piece of that country, the country where I would have been born and bred if, for some unfathomable motive, which they called “religious freedom”, the French Huguenots had not decided to descend upon these African shores centuries ago to plant their vineyards, spread their strange accents, and bless our country with a plethora of outlandish farm and restaurant names, not to mention surnames. Some of these names were later reclaimed by the new language, which sprang from the different waves of immigrants, Afrikaans. My own surname, Du Toit, became “De Toy”. As for Parys in the Free State, well, the Afrikaans spelling and pronunciation was probably there right from the dawn of the Boerevolk. I am not sure how a town bearing the name “Parys” came to spring into existence on the banks of the Vaal River, though, so far from the shores where the Huguenots landed their little boats. Be that as it may, perhaps, partly because I am still subconsciously mourning my lost European heritage, Parys has, in recent years, become one of my favourite destinations in the South African countryside. 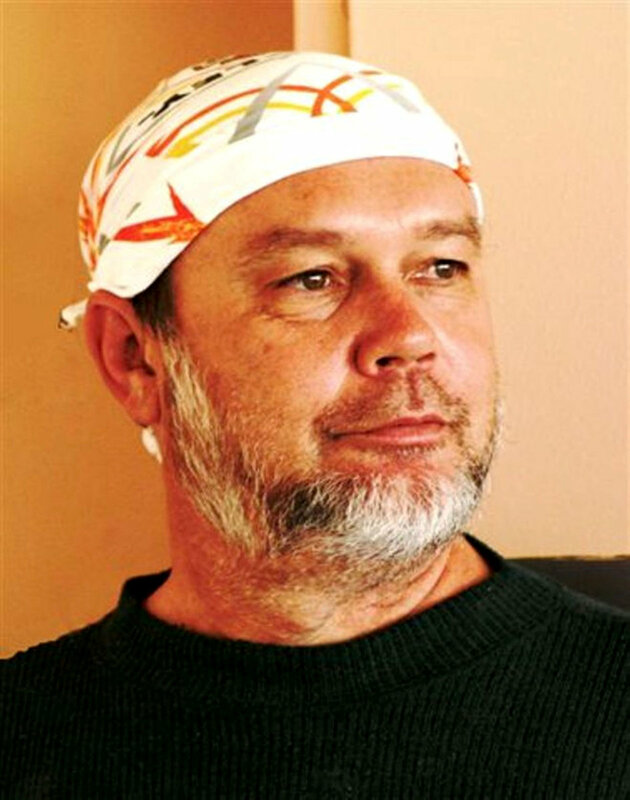 It has also become a symbol of the paradox of present-day South Africa. Parys, in my mind, is a living illustration of both the best and the worst stuff we’ve had to deal with in this beloved country of ours since independence. Let’s start with the good stuff. Parys is one of those towns where Afrikaners, having lost their foothold on the pre-1995 Nationalist gravy train, left their offices in droves and came back home to eke out a new kind of lifestyle far away from the cosy comfort zones of the old white civil service and all the other once-powerful institutions that used to hold the Nats in power. The disenfranchised Afrikaners did this in the true frontier spirit of enterprise. Those who did not have the resources to plant mielies or till the land, opened up coffee shops, started restaurants, founded quaint little tourist-friendly arts and antique shops, and opened up delis with French-sounding and Afrikaans names. 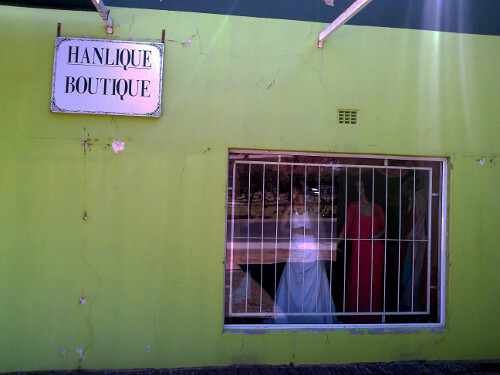 Take a walk down the main street of Parys today and you are confronted with small businesses bearing cute-sounding names such as Hoipeloi, Fieterjasies, and Vetkoekpaleis. But take a walk on any day down that very same main street, or any other street in Parys, and you are also confronted with the brutal inefficiency and sheer neglect of the ANC-controlled municipality. It’s a battle not to step into a pothole. Take a breather on a bridge spanning the mid-town rivulet that flows towards the Vaal River, and you have to hold your noise and close your eyes not to see or smell the tons of uncleared rubbish that clog the water. Speaking of water, last thing I heard the tap water in town was unsafe for drinking, and everyone bought bottled water from the local supermarkets. All this, unfortunately, is true. I know, I was there only last weekend. I asked the locals about this. They claimed that, since the municipality had “left” — no-one could tell me exactly where these guys had gone to — there has been some improvement. Indeed, as I noticed for myself, a major part of Bree Street has now been tarred and mended. But the signs of decay, deterioration and economic ruin are still everywhere. For every successful shopfront, one can find at least two or three failures. Vacant lots, houses overgrown with weeds, dangerously yawning open man-holes on the pavements, even an entire discarded and dilapidated petrol service station, dot the once affluent urban landscape. Indeed, the flowering of outlandish shops and tourist attractions is a relatively new phenomenon; back in my youth, when I drove through Parys, there was only one Vetkoek Den — a takeaway priding itself on its high-cholesterol bread rolls filled with mincemeat — and nothing else. The sense of decay and neglect, however, is also new. It has become a trademark of the ANC government in numerous towns and villages across the South African platteland. It is a result of the infamous tradition of non-existent service delivery, notoriously inefficient local governing practices and inherent corruption, which has dogged so many municipalities since these jobs had been taken over — often with inflated salaries — by cadres of the ruling party. Say what you will of apartheid, but those old Nationalists sure knew how to tar roads, how to put up stop signs, and how to paint white lines on the streets. Naturally they did this well; white was, after all, their favourite colour! Now, mixed messages are everywhere. If Parys is the very last outpost of an imperialist experiment, it’s hard to tell whether it is an imminent success or an imminent failure. It breaks my heart to see ordinary folk struggle in the country which South Africa has become. The farmers are struggling. The shop owners are struggling. The workers are struggling. 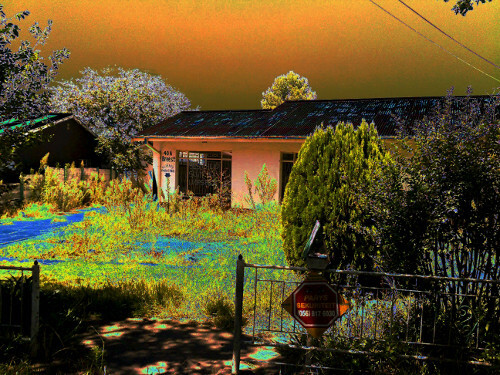 Travel to nearby Vredefort — a town under the jurisdiction of the same municipality, or what’s left of them — and the horror deepens. Unemployed people line the streets, disfunctionality is painfully evident everywhere, and the only successful business in the main street through town is a dilapidated shop front advertising “MUTHI FOR SALE”. Is Parys a symbol of the place in Africa where Europe, like the beast in Yeats’s poem, has finally slouched to? And if it has indeed slouched here, has it slouched here to be born, or to die? Is this all that is left of a once thriving colonialism that dominated half the planet? I can understand that, once the ANC took over, it felt the need to place an African emphasis on this country, as indeed it has done by changing place names, by rewriting school history textbooks, by importing Cuban doctors and engineers, by making secret deals with Vladimir Putin, et cetera (yes, of course I am being sarcastic, as the Cubans and Putin are about as African as McDonald’s). But was it really necessary to let ALL the existing infrastructure fall into such disrepair? Where would we have been, economically, if, instead of pursuing political agendas and building Nkandla mansions, this government had been more energetic and resourceful in the maintenance of companies like Eskom and the post office? What the hell is happening to our public sectors? Look at the mess our inner cities have become! I can see for myself, and I know all too well that the quaint little shops lining the main street in Parys, with their French- and Afrikaans-sounding names, might seem meaningless from a black nationalist point of view. But hell, they bring in revenue, they boost tourism, they create jobs and wealth, and they keep this rural little village on the map. By neglecting the needs of ratepayers like these, the dysfunctional — or non-existent — municipality is simply cutting its own nose to spite its face. Where is its sense of pride, work ethic, loyalty to the people who have lived and worked — or tried to work — in towns like these all their lives? Hours after taking my last stroll down Bree Street, Oranje Street, and all the other pothole-riddled streets of Parys, as I lay in my bed in the guesthouse next to my bottle of store-bought drinking water, I was abruptly awoken at midnight by a loud thunder-clap. The first thunder-clap was followed by more rolling thunder, by blinding and continuous flashes of lightning, and, shortly afterwards, gale-force winds and torrential rain. I lay awake for hours, listening to the fury of nature and watching the patterns of light playing through the curtains. And I felt afraid. Very afraid. Not afraid of the storm. But afraid of the death of intercultural enterprise and cooperation in Africa. Afraid of the failure of democracy. Afraid of the chaos that will ensue once all our streets are filled with potholes, all our rivers are clogged up by rubbish, and all our lights go off forever. Perhaps this will not happen. Perhaps my despondency is uncalled for. Perhaps the powers that be will wake up in time, and finally start working towards the good of all. But until that happens, our own little local doomsday clock may be even closer to midnight than the planetary doomsday clock of the Bulletin of the Atomic Scientists. And only time will tell whether the little hand of that clock is moving backwards, towards some kind of salvation, or forwards, closer and closer to midnight … midnight, not only in Parys, but in all of South Africa.